The Beautiful Region of La Alpujarra, Granada, Spain. This wonderful location is a mountain range in Southern Spain. Situated overlooking the Mediterranean Sea it is the second highest mountain range in Europe. Most of it is now protected and is a National Park. 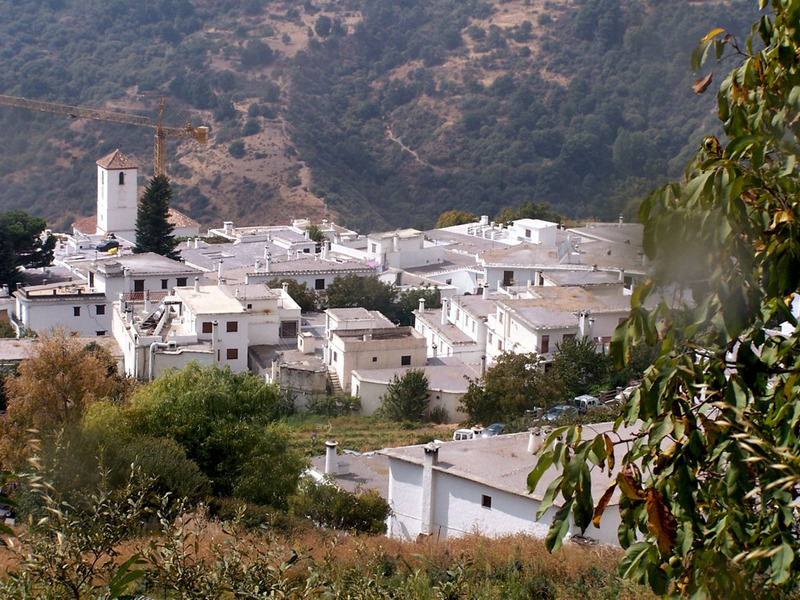 The backdrop to La Alpujarra is the magnificent Sierra Nevada with its snow capped peaks. Well, from late October through to June anyway. You can ski in the morning and sunbathe in the afternoon on the beaches of Salobrena.The whole of the Alpujarra is much as it has been for centuries. True there are some obvious modernisations that have taken place. Roads and power cables for example. But the basic infrastructure is much the same. First occupied by the Romans they were the first to build aqueducts in the area to aid irrigation of the land at the lower levels. The Moors developed this system900 years ago and created an intricate system of water irrigation by following the contours of the land. 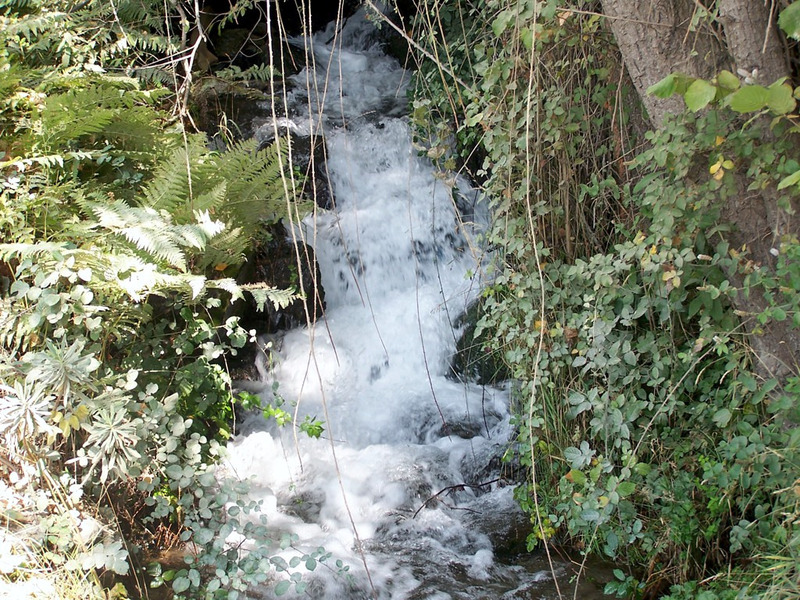 The irrigation channels are called acequias, many of them are still in original state. However, because they take a great deal of maintenance the acequias are now being repaired with polythene piping and concrete channels.The acequias were used for irrigation of the land on the steep slopes of Las Alpujarras. The land was terraced to allow for the mountain people to grow a variety of crops and fruit trees. Today, much of this form of agriculture has unfortunately died away. With only a handful of farmers managing the land as it once was.The acequias, unlike the rivers that have cut huge gorges into the soft rock, flow continuously throughout the year. Where the rivers have cut through the rock and created these gorges magnificent scenery beholds the visitor around every bend in the road; especially the final hairpin bend on the road into the Poqueira Barranca. Ahead lay the three popular white villages of Pampaneira, Bubión and Capileira; which is the second highest village in Spain. Snow covers these villages for much of the winter. These villages are a must visit for anyone staying in a property within a one or two hour drive. See photos here. A very good place to stay in La Alpujarra is Orgiva. It is the capital of the region yet is not a huge town. It has everything you need for your stay. Banks,supermarket bars etc. The area around Orgiva has a good number of properties available for rent all at very reasonable rates. Many have their own swimming pool too. The region around Orgiva is a walker’s paradise. You can follow predetermined routes, follow the dry river bed up or down, follow the acequias as the follow the contours. Orgiva is centrally placed for doing lots of things. The spa town of Lanjaron with its relaxing spa baths is a short drive, Trevelez, the highest village in Spain and where some of the very best cured hams are produced is further up the mountains past Pampaneira and Pitres. Torvizcon, is a small village where Saffron is harvested from the crocus fields. It is just a short drive out the other side of Orgiva and East along the bottom of the Sierra de Contraviesa. 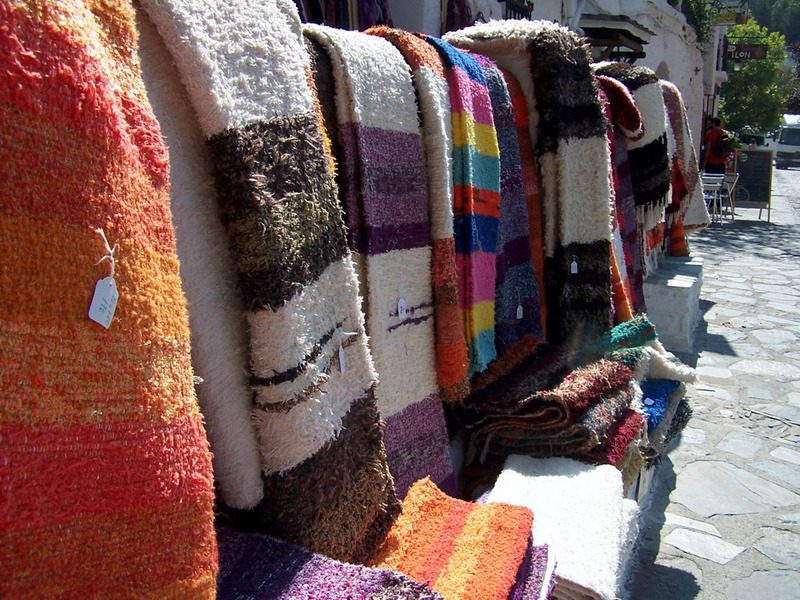 You can purchase locally produced wine, goats’ cheese, carpets/rugs and a whole host of artesian products. All available at reasonable prices from the white villages or Orgiva.Granada is now only a one hour drive away. Where you can visit the ‘must see in your life time’ La Alhambra Palace. Granada has a fantastic shopping centre and is also home to the famous Albaicin, the old Arab quarters of the city.The great thing about this region is that you spend a wonderful peaceful time inthe mountains and yet within forty five minutes you can be sun-bathing on the beaches of Salobreña and Almuñecar on the Costa Tropical. The people of the Alpujarra have a saying “We have our head in the clouds but our feet in the sea”. I have only briefly touched on this wonderful location. 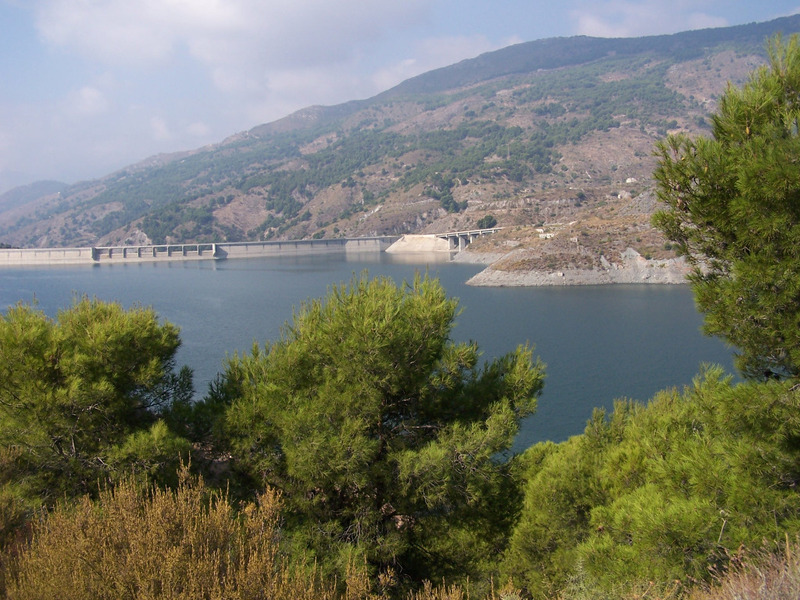 All of the towns named in the article are situated in the Western Alpujarra. There is myriad of other beautiful villages if you drive from West to East along the twisting mountain road to the far end of La Alpujarra through Yegan and on to Laujar de Andarax.The region is excellently accessible from three airports; Granada one hour to the north, Malaga 1hour forty five minutes to the west and Almeria 1hour 30minutes to the East. Some books on the region worth reading. Gerald Brenan – South from Granada offers a great synopsis of life in the pre Spanish Civil War years in La Alpujarra. 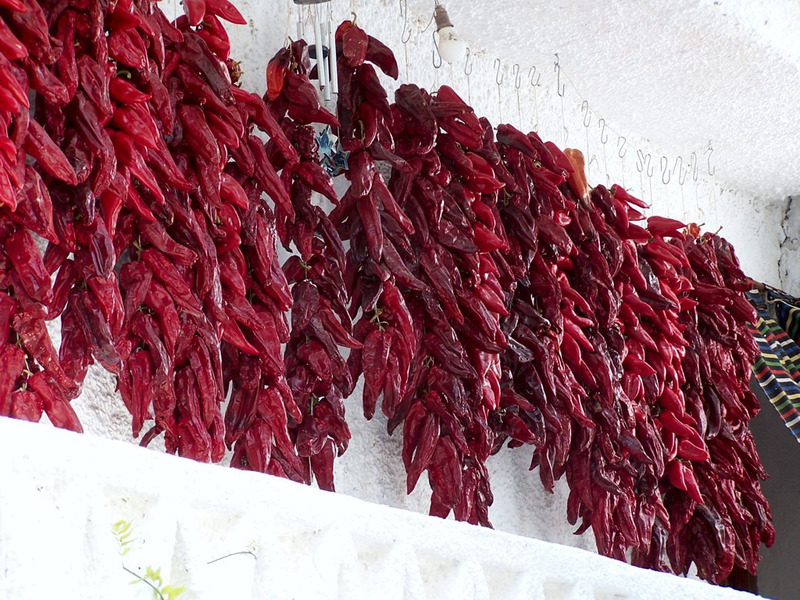 Three books by Chris Stewart offer a good incite into modern Alpujarra life. Driving Over Lemons, Parrot in a Pepper Tree and The Almond Blossom Appreciation Society.